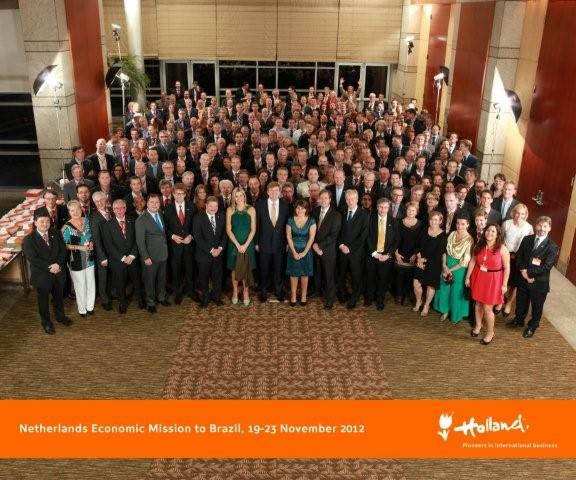 From 19-23 November 2012, Their Royal Highnesses the Prince of Orange and Princess Máxima of the Netherlands have paid an official visit to Brazil, the most important trade and investment partner for the Kingdom of the Netherlands in Latin America. They were accompanied by the Minister for Foreign Trade and Development Cooperation, Ms Lilianne Ploumen. The Secretary of State for Education, Culture and Science, Mr. Sander Dekker and Prime Minister of Aruba, Mr. Mike Eman were also part of the delegation. A business delegation composed of representatives of over 175 companies from leading sectors of the Dutch economy visited Brazil parallel to the official visit of the Prince and Princess. Transfer was responsable for the matchmaking during this economic mission.